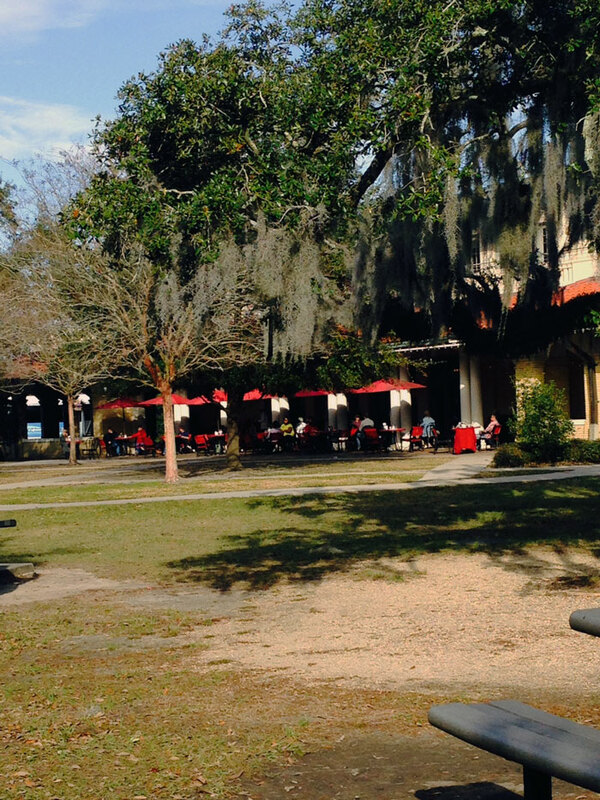 The park has charmed visitors and locals since 1854. 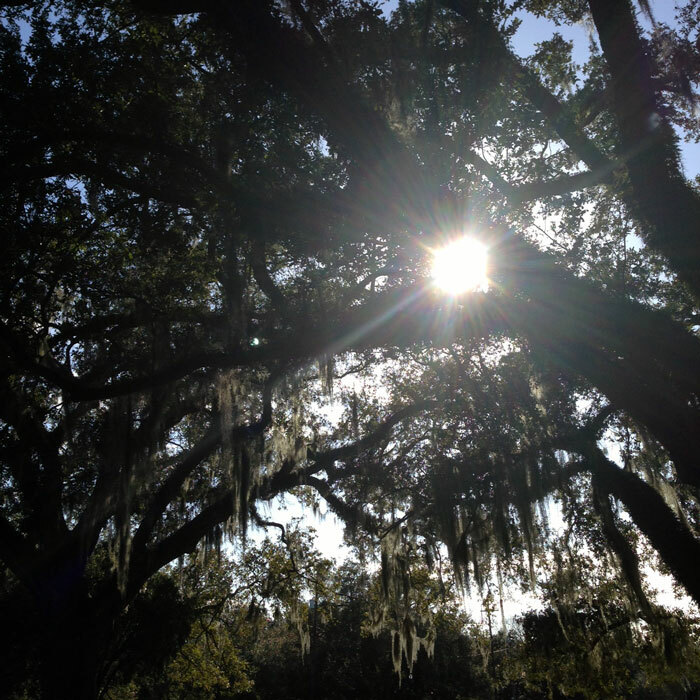 Some of it’s majestic oaks along the bayou were witness to “affaires d’honneur” or gentlemanly duels. 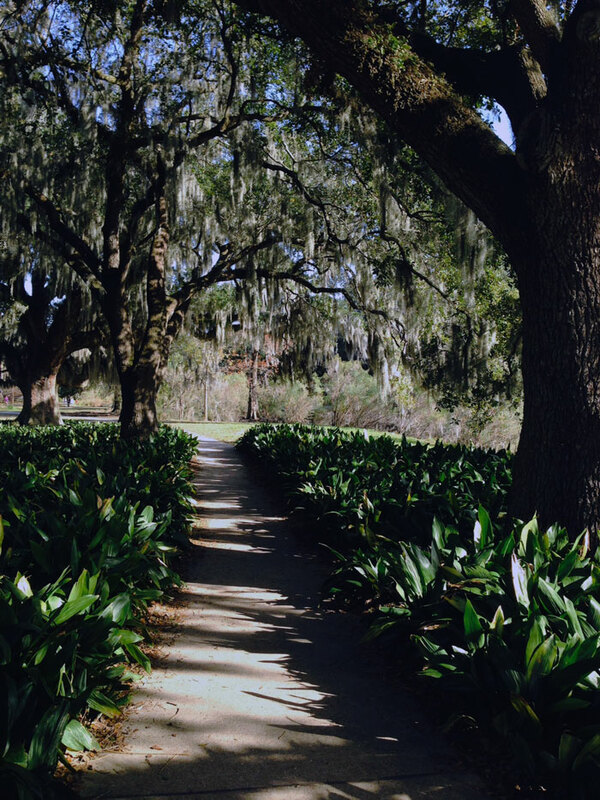 One of the incredible oaks is said to date back over 800 years! 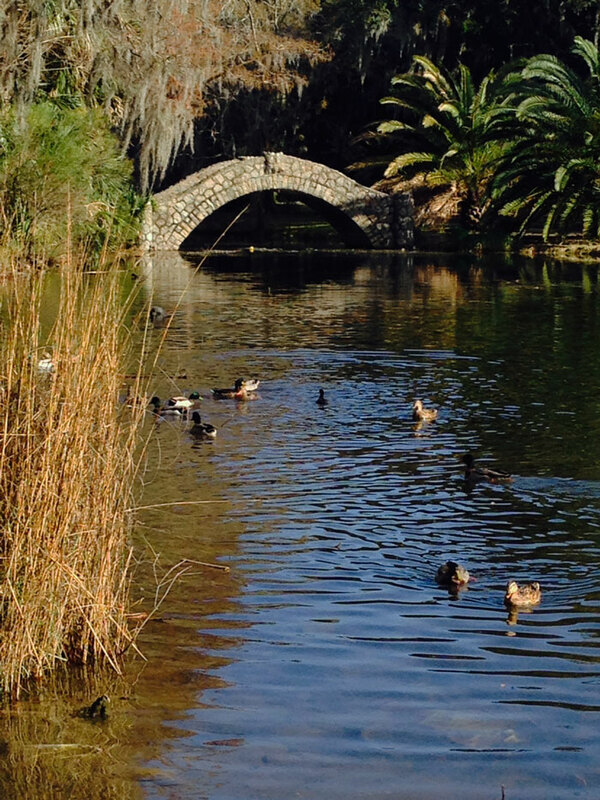 So much beauty and history to enjoy, right here in the middle of the city. 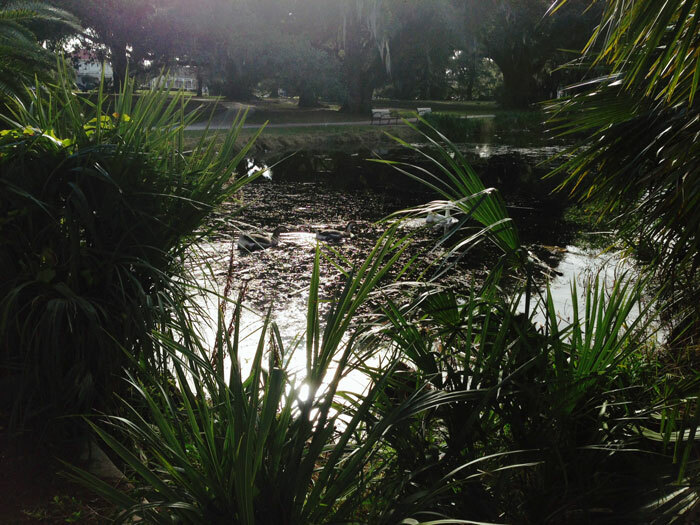 After Hurricane Katrina, 95% of the park was flooded and sustained damage. 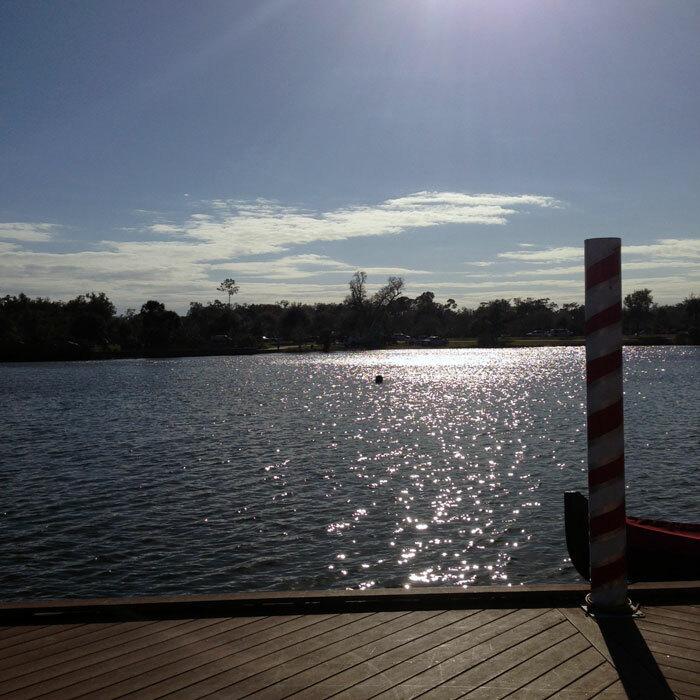 As you can see, in these pictures, the park has been repaired and restored. Here are some of the scenes from my recent visit. First, we stopped by Big Lake. 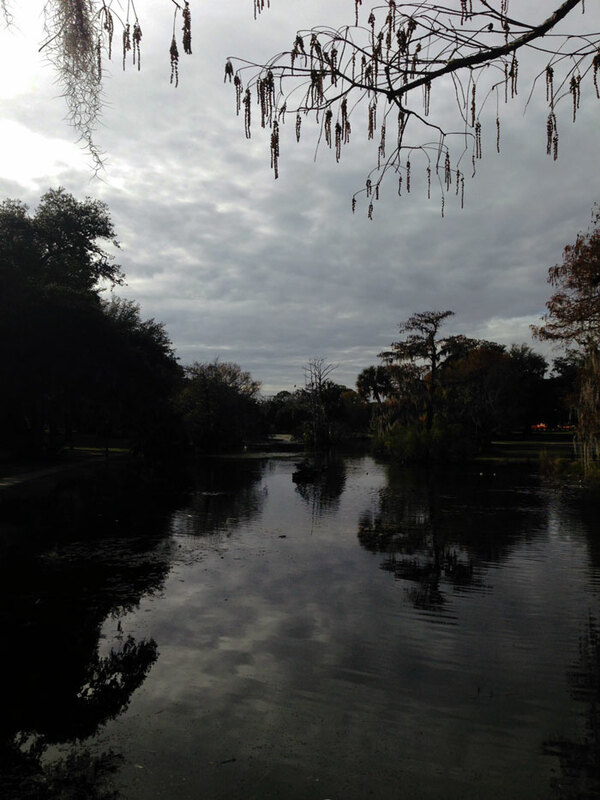 This picture is overlooking the lake towards the New Orleans Museum of Art. 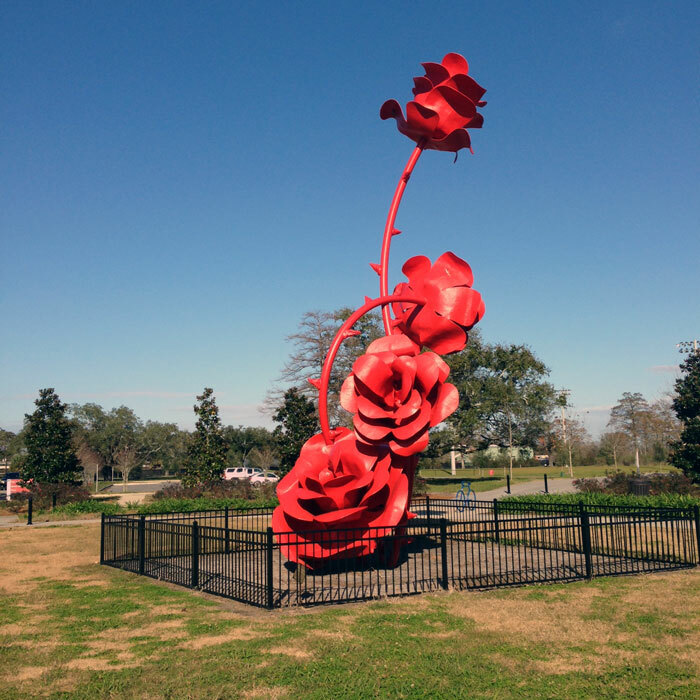 Next, we drove over to see this rose sculpture. 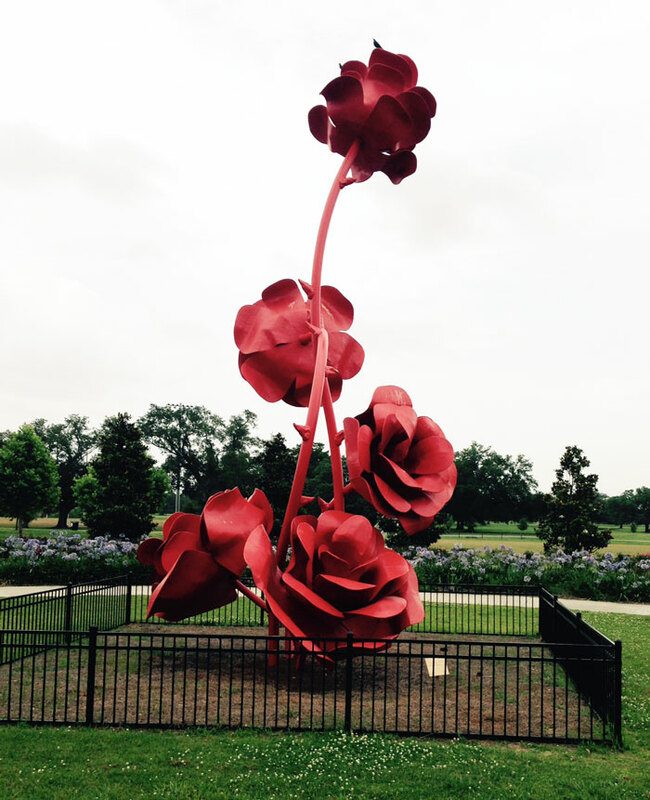 The rose sculpture is surrounded by rose bushes. Some of them were blooming. Here is another view from a different time. 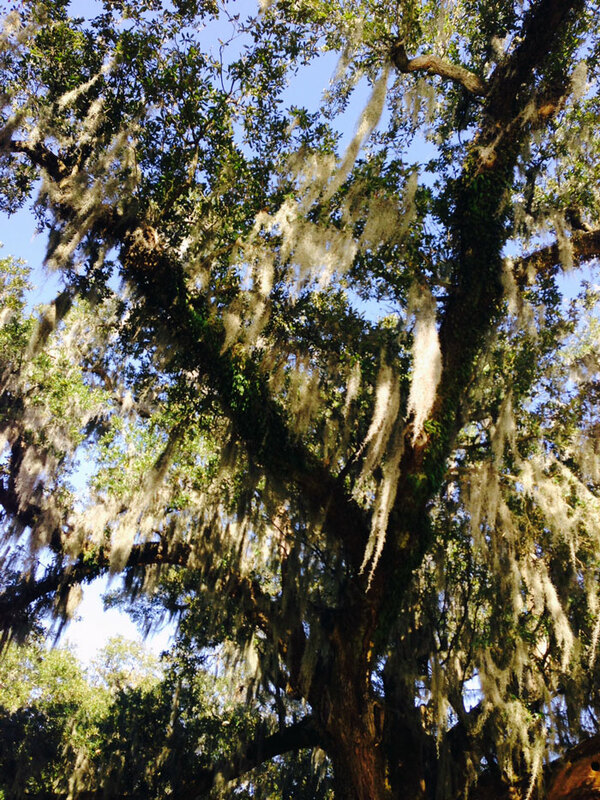 Then we drove through some of the majestic, moss draped oaks. 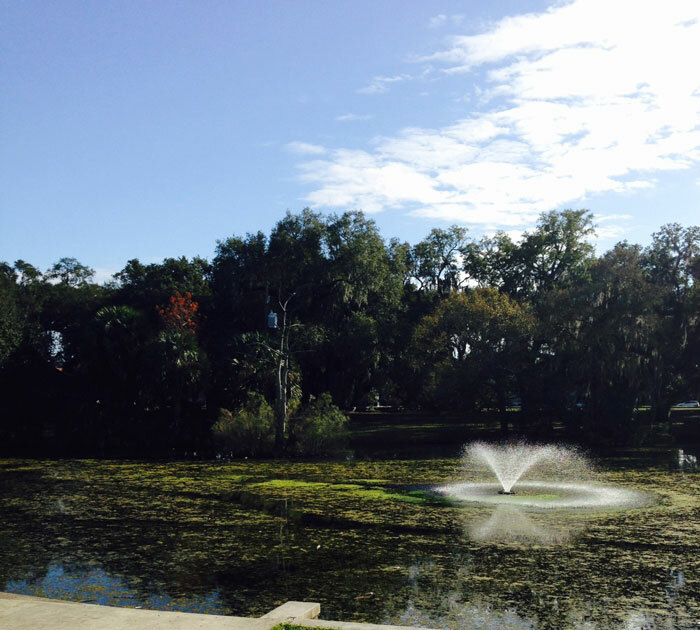 We parked near the Peristyle and got out to take a walk. 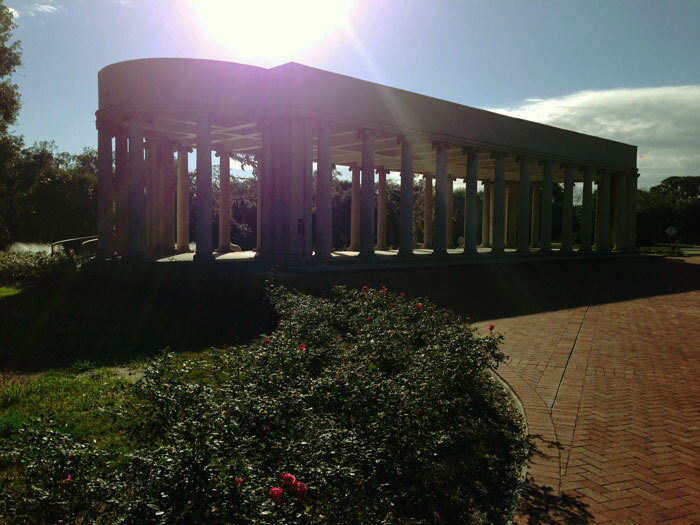 The Peristyle was built in 1907 as a platform for dancing. What a lovely place to hold a dance. 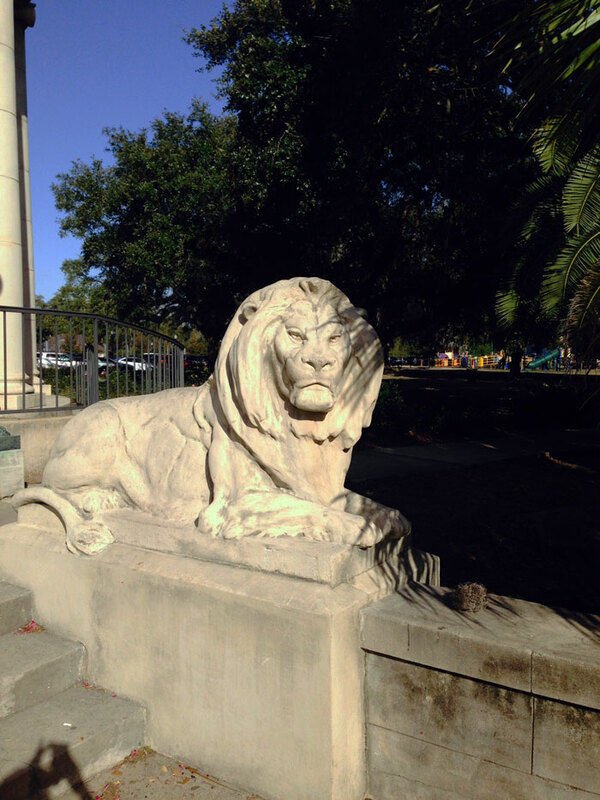 The Peristyle overlooks the bayou where you will find this guy overlooking the scene. I can only imagine the stories he could tell. We chose this path for our walk. Doesn’t it look enchanting? Here are some of the things we saw as we wandered down the path. 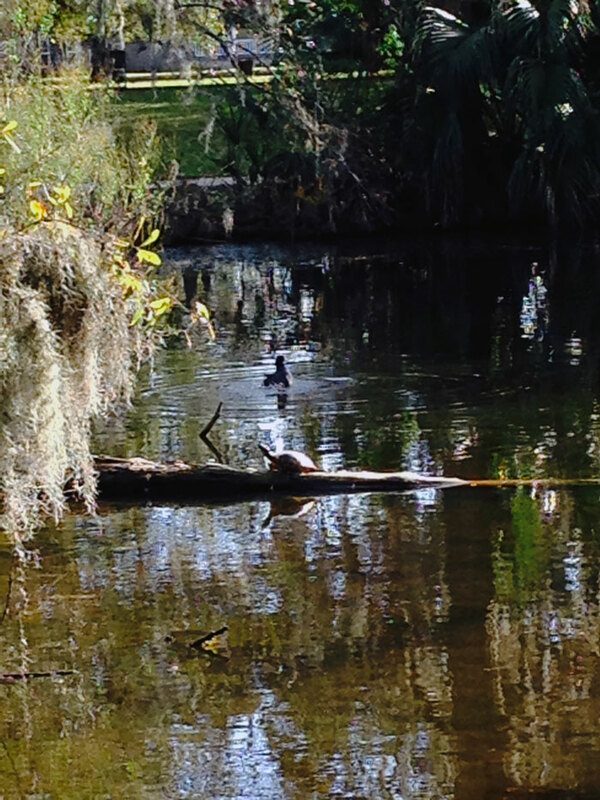 This turtle was sunning himself as a duck was bathing nearby. 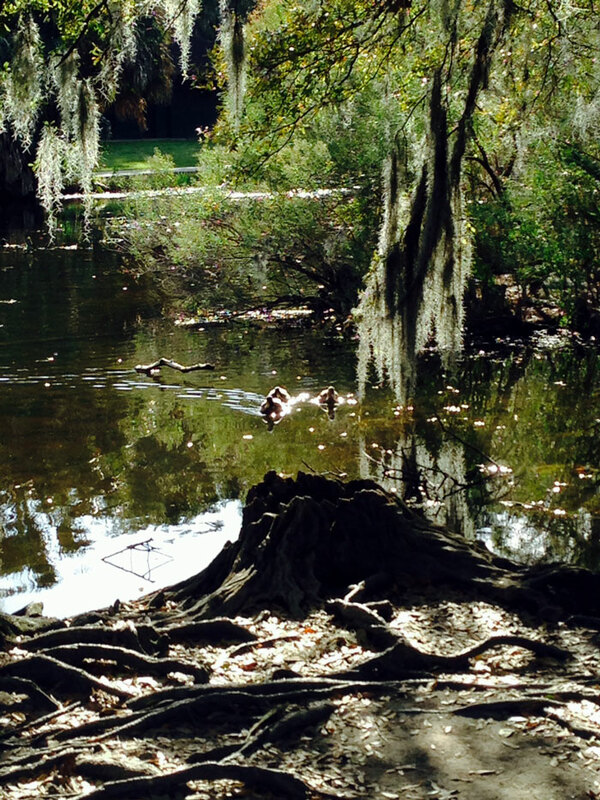 These ducks are swimming under the oaks. Such a relaxing scene. Along this path is Morning Call. Lots of people there enjoying the beautiful day. 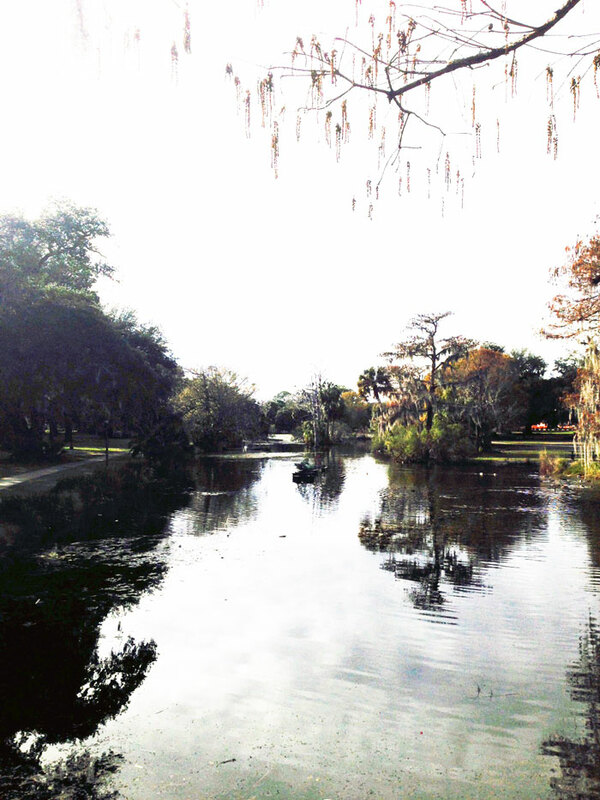 I hope you enjoyed going along this walk with me through part of city park. This is only a very small slice of this incredible place. 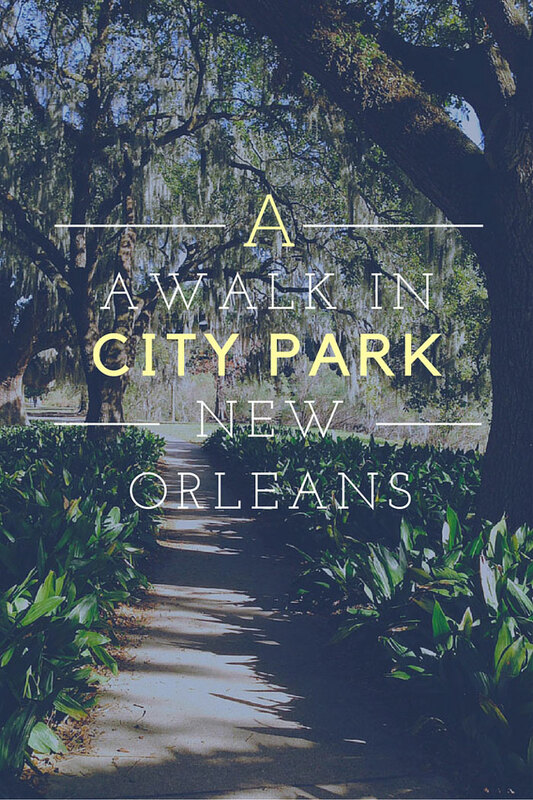 Have you visited City Park in New Orleans? Tell me about it in the comments. I love to hear what you think. Today, I’m joining Metamorphosis Monday at Between Naps on the Porch.